Happy Friday! I love this daisy bell sleeve top from LOFT but I just realized that I forgot to share it on my blog. It’s now on sale an an extra 50% off making it $27.50 after discounts. I reviewed it in this post and I took size XXSP since I found that it runs about one size bigger. I prefer the 3/4 length bell sleeves since they don’t get in the way as much as full length bell sleeve tops. Get 30% off full-price dresses, skirts, cardigans and pants and an extra 50% off sale styles at LOFT. 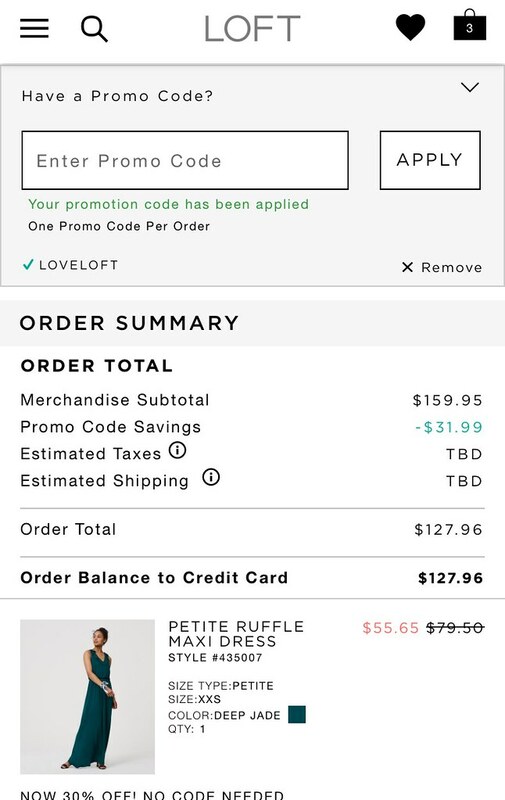 Since no code is needed you can use the code LOVELOFT for an extra 25% off (non-cardmembers get 20% off) full-price promotional purchases of $100+. This code is from the #LOVELOFT spring catalog and it’s valid through April 23, 2017. Alternatively use the code INSIDER638 for the month of April for $25 off full-price promotional purchases of $100+. 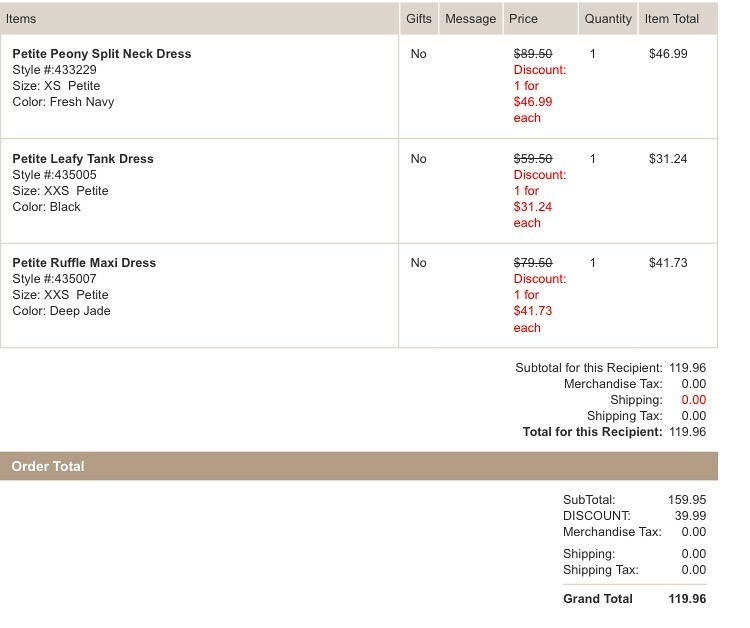 I placed an order Thursday morning with the change in sale and I used the LOVELOFT code at checkout. 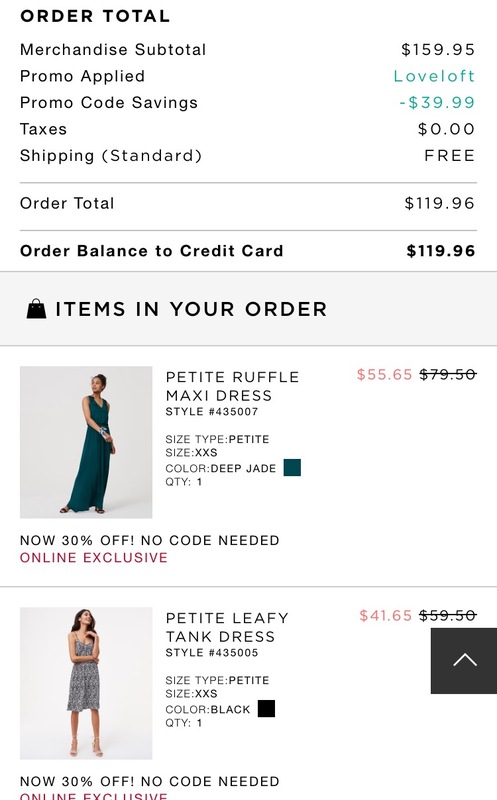 The shopping cart didn’t apply the 25% off discount on top of the 30% off promotion applicable on the dresses until after I had reviewed my order and before I clicked on the ‘place order’ button. Upon closer inspection I also noticed that I received free shipping along with the additional 25% off for cardmembers. It must have been a system fluke since I can no longer replicate the free shipping I received with the code for full-price orders under $125. Last weekend I redeemed my LOFT rewards towards the botanic cold shoulder dress (review here) which is also now on sale. I’m not certain if I would lose my LOFT rewards if I try to get a price adjustment on the dress. If anyone has any insight it would be much appreciated! In my above order, I chose the following three dresses and I hope they all work out in the sizes I ordered. My online True Fit profile recommended size XXSP for me in the peony dress but it sold out so I ordered size XSP to try instead. I’m such a LOFT hoarder but I’m still trying to downsize my closet so that I can get dressed more easily. I doubt I could ever be a minimalist but it was getting to a point where I had a lot but I felt like I had nothing to wear because it was an overflowing mess in my closet. 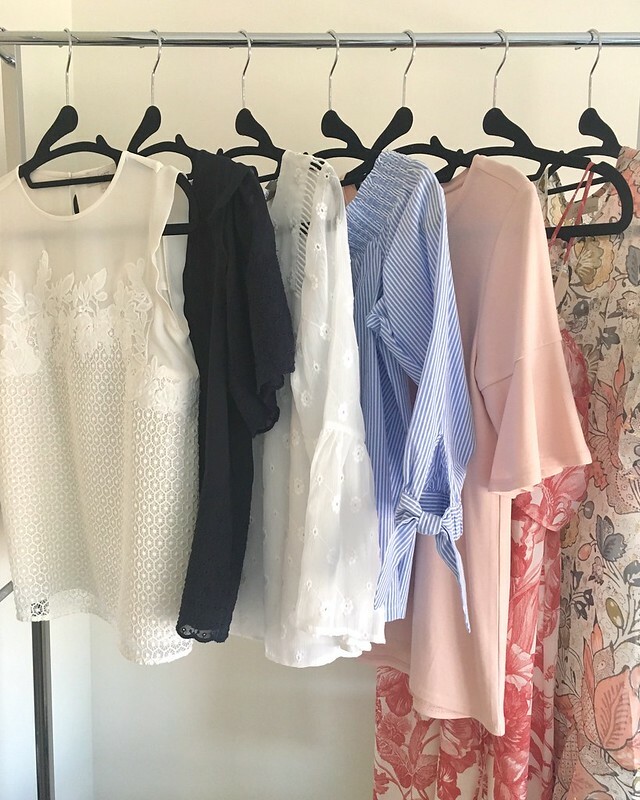 I’ve been using ThredUp and Poshmark (use code HPHAO for a $5 credit when you sign up) to downsize to a working closet. Once I’m finished I will invest in matching hangers as recommended by Annie. My husband has black slimline hangers and I only have a small set I found at T.J. Maxx a few years ago. I can’t decide if I should get black to match his hangers since we share a walk in closet or go with the off white color. As always, you can check out all of my recent purchases here.